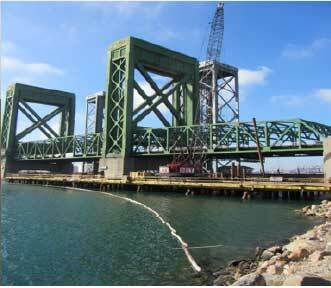 Schuyler Heim Bridge Replacement Project - Noreas Inc. 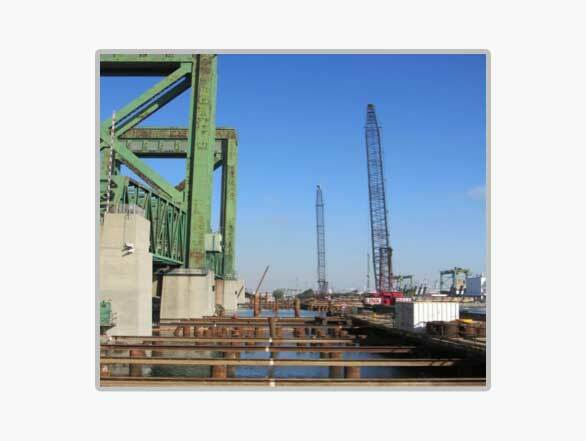 In order to meet current seismic criteria, the Alameda Corridor Engineering Team (ACET), and the California Department of Transportation (CALTRANS) determined that it was necessary to demolish the existing Schuyler Heim Bridge and replace it with a new bridge within the Ports of Los Angeles and Long Beach. Construction is being performed by MCM Construction. With ACET and CALTRANS approval, MCM retained NOREAS in August 2011 to address numerous environmental and regulatory commitments. As a result, NOREAS is providing on-going specialty biology and regulatory compliance services associated with the project. We routinely provide varying numbers of specialists in regulatory permitting, biological surveys, marine mammal monitoring, geographic information system (GIS) analysis, common and special-status species relocation, and biological monitoring. Our associates also supported efforts to secure the projects regulatory permits (i.e., Clean Water Act (CWA), California Department of Fish and Wildlife [CDFW] Lake and Streambed Alteration Notification, California Coastal Commission, and Endangered Species Act/National Marine Fisheries compliance) within the Cerritos Channel. NOREAS is also supporting the temporary relocation and monitoring of an active breeding pair of Peregrine Falcons from the Heim Bridge to an adjacent structure.